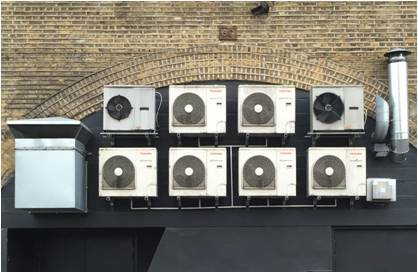 We are now in Phase 2 of the Energy Savings Opportunity Scheme (ESOS) – the energy data review & audits must be completed, & then the notification of compliance submitted to the Regulator, by December 2019. Those companies that know they will qualify for the scheme (they meet the financial &/or staff thresholds) should be thinking about beginning the compliance process now – commission your energy audits early to avoid the rush as the deadline approaches. Although you won’t be able to calculate your Total Energy Consumption yet (it needs to include energy use covering 31st December 2018), the energy audits can be started now using data already gathered to inform them. Last time in ESOS, many companies were unprepared & spent a lot of time trying to locate the energy data needed. This wasted time & cost money, as the ESOS Assessor had to focus so much more on gathering & analysing quality data. One client provided me with 3,600 spreadsheets of mileage claims to process, as they didn’t have time to do it themselves! To make your next ESOS Assessment run smoothly, it’s worth the effort now to put in the processes to gather good quality energy data. The better the information you supply to your ESOS Assessor, the deeper they can analyse it for energy saving opportunities. 1 – Get all your consumption data together & make sure it’s correct – no billing anomalies or missing invoices. You will need 12 months data but if you can provide 3 years or more, that allows historical tracking. All fuel consumption must be included – energy in buildings & for transport – don’t forget the obscure ones like back-up generator diesel or the company limousine. Transport data was tricky last time, particularly grey fleet data from expenses. 2 – It’s really useful to analyse consumption in much more detail, e.g. by building, floor or equipment. Install sub-meters (& read the ones already installed!) to collect this data for 12 months or more (to capture seasonal variations in the weather and production). 3 – Instead of simply having monthly or quarterly data, try to get much more granular detail, especially time interval data. If your electricity meter is Half Hourly you can see your consumption in 30-minute periods throughout the day, week, month & year – great to understand how the site works & highlight wastage. 4 – Make sure your asset list of main plant, equipment & machinery is up to date – to include a description, make, model & electrical rating. If you can record (or at least indicate) how often it is used, cycle time etc, that’s useful too. 5 – Understand operations at the site & record production activity & output on at least a monthly basis – your KPIs probably include this. This can be compared to the consumption data above. Having this data already collected means you can simply send it the Lead ESOS Assessor before their visit – they can prepare fully & their time on-site will be better spent. So get your information together now & schedule your energy audits soon – so you’ll miss the rush before the deadline. Indeed, the sooner you get the ESOS Assessor’s recommendations, the sooner you can start saving energy & saving money.  For more details see the Eshcon factsheet on ESOS.